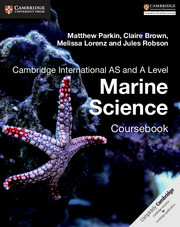 Cambridge International AS and A Level Marine Science Coursebook is tailored to the Marine Science syllabus (9693) for first examination in 2017, and is endorsed for full syllabus coverage by Cambridge International Examinations. The coursebook includes exercises to develop scientific skills such as problem-solving and handling information; practical activities to help students develop investigative skills; and international case studies to illustrate phenomena in real-world situations. Exam-style questions and self-assessment questions are provided to encourage students to track their understanding. Students can also develop their maths skills in science contexts. Answers to questions are found at the back of the book. Endorsed for full syllabus coverage by Cambridge International Examinations, so teachers and students can feel confident that the coursebook meets course requirements. Varied international case studies illustrate theoretical concepts in real-world contexts, helping students to apply theory to practice. Specific focus on development of students' maths skills with diagrams, worked examples and practice questions, to build students' confidence. Dedicated practical activities help students to develop vital practical and investigative skills in an active way. Exam-style questions and self-assessment questions are included to encourage students to check their understanding and support them as they prepare for examinations. Answers to all questions in the coursebook are included at the back of the book to allow students to check their own progress and understanding. 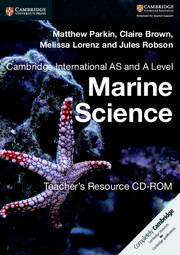 Written by an experienced author team of examiners and practising teachers.